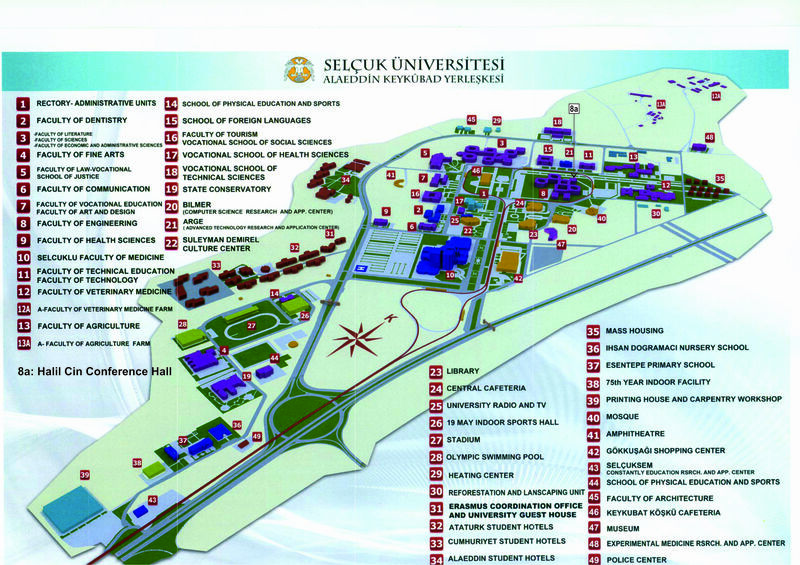 The conference will take place at the Halil Cin Conference Hall of the Selcuk University, Aleaddin Keykubat Yerleşkesi Selçuklu-Konya, Turkey (campus map). Konya is connected to Ankara, Eskişehir and to Istanbul via the high-speed railway services of the Turkish State Railways. High-speed trains (Yüksek Hızlı Tren, abbreviated as YHT) operate between Ankara and Konya. Travel time to Ankara is 100 minutes. There are eight trains from Ankara to Konya every day. Konya is a city in the Central Anatolia Region of Turkey. It is the seventh most populous city in Turkey and is an economically and industrially developed city. Konya was historically the capital of the Anatolian Seljuk Sultanate and the Karamanids. The Neolithic settlement of Çatalhöyük in Konya Province was inscribed as a UNESCO World Heritage Site in 2012. Konya has the reputation of being one of the more religiously conservative metropolitan centers in Turkey. It was once known as the "citadel of Islam" and its inhabitants are still comparatively more devout than those from other cities. Konya was the final home of Rumi, whose tomb is in the city, and whose followers established in 1273 the Mevlevi Sufi order of Islam there and became known as the whirling dervishes. Jalāl ad-Dīn Muhammad Balkhī, also known as Jalāl ad-Dīn Muhammad Rūmī, Mevlana or Mawlānā, Mevlevi or Mawlawī, and more popularly in the English-speaking world simply as Rumi (30 September 1207 – 17 December 1273), was a 13th-century Persian poet, jurist, theologian, and Sufi mystic. Rumi's importance is considered to transcend national and ethnic borders. 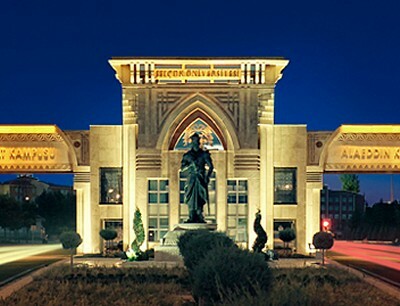 Iranians, Turks, Afghans, Tajiks, and other Central Asian Muslims as well as the Muslims of South Asia have greatly appreciated his spiritual legacy in the past seven centuries. His poems have been widely translated into many of the world's languages and transposed into various formats. He has been described as the "most popular poet in America" and the "best selling poet in the US". Konya has a continental climate with cold, snowy winters and hot, dry summers. Rainfall occurs mostly during the spring and autumn. Under Köppen's climate classification the city has a semi-arid climate. Due to Konya's high altitude and its dry summers, nightly temperatures in the summer months are cool. Precipitation levels are low, but precipitation can be observed throughout the year.